These are vintage glass beads that were made in Germany. 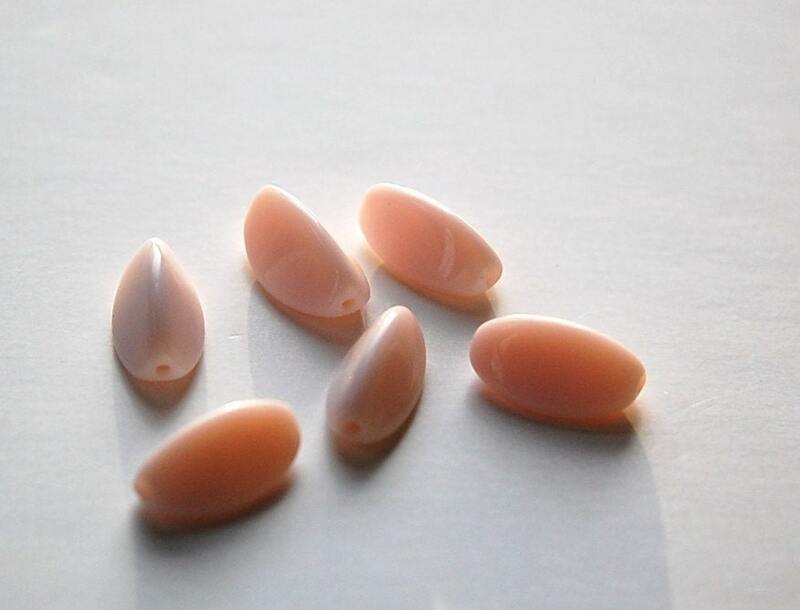 They are a pale pink color. These have 3 sides. They measure about 19mm long X 5mm wide. You will receive 6 beads. These beads are so lovely. 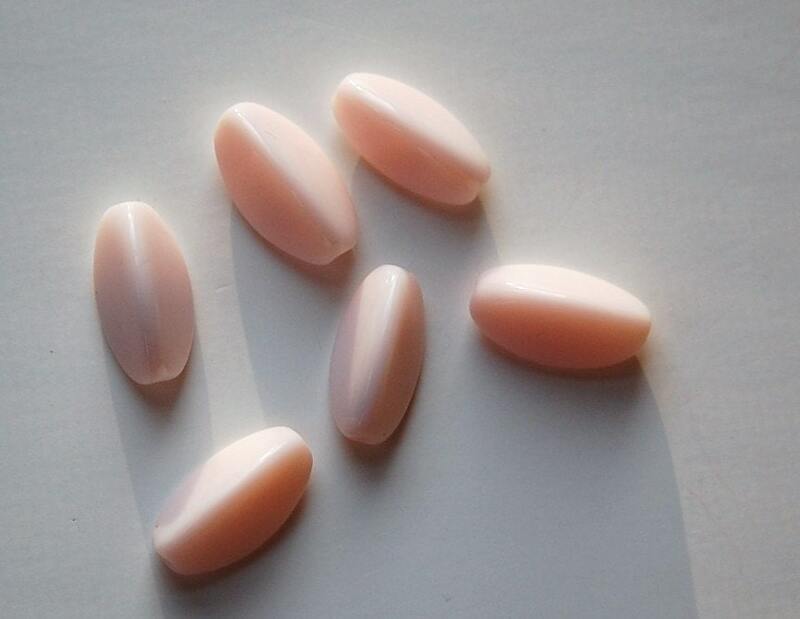 The soft pink color is perfect for Spring jewelry making. They arrived quickly and safely. Love them! Great service,wonderful selection of unusual items. Thanks!